LONDON Uncertainty over the outcome of a budget battle in Washington pushed world stock markets lower on Monday. President Barack Obama and his political opponents have failed so far to agree on a way to roll back automatic spending cuts that took effect Friday. Those cuts slash $85 billion from the nation's budget, which could slow down the economy. U.S. lawmakers say they want to undo the cuts so that federal programs can be spared but are divided over whether higher taxes should be used to pay for them. With sequester in place, what's next? Evan Lucas, an analyst at IG Markets, said he believes the budget fight is just "another political distraction that will cause some investors to cash out and buy back in on the dips." European stock markets opened lower. Britain's FTSE 100 declined 0.4 percent to 6,355.55, with shares in HSBC down 2.7 percent after the bank reported a drop in net profit for 2012 due to fines it paid in the U.S. and U.K. on top of other one-time charges. Germany's DAX fell 0.5 percent to 7,671.93 while France's CAC-40 lost almost 0.1 percent to 3,698.65. Finance ministers from the 17-country eurozone will meet later in the day in Brussels to discuss a bailout for Cyprus, but a final deal is expected to take another few weeks since a new government has just taken over in Nicosia. Wall Street appeared headed for a lower open, too, with Dow Jones industrial futures slipping 0.4 percent to 14,019 and S&P 500 futures shedding 0.3 percent to 1,512.30. Stock markets in China were dragged down by property shares that tumbled after China's Cabinet ordered new measures to cool surging housing prices. The government said it will raise required minimum down payments in areas where prices are deemed to be rising too fast and crack down on efforts to evade limits on how many properties each buyer can acquire. 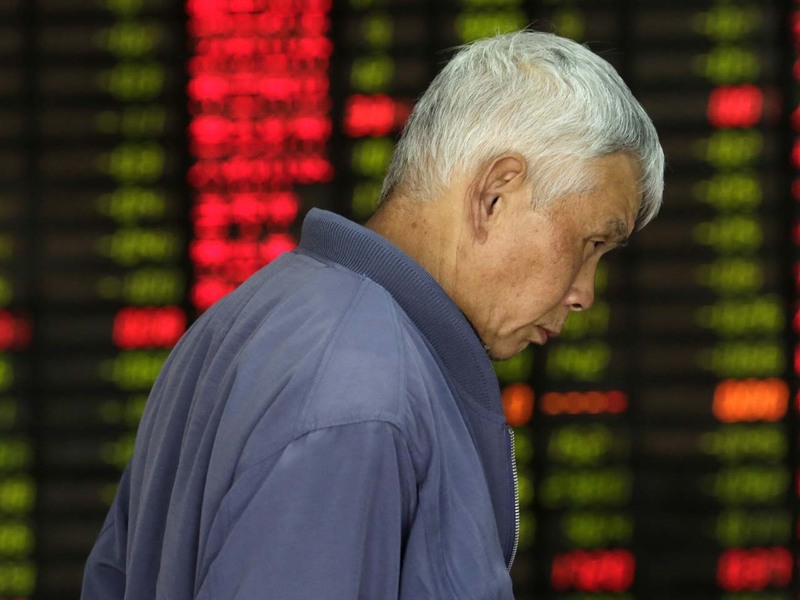 The Shanghai Composite Index slid 3.7 percent to 2,273.40. Hong Kong's Hang Seng fell 1.5 percent to 22,537.81. South Korea's Kospi lost 0.7 percent to 2,013.15. Australia's S&P/ASX 200 dropped 1.5 percent to 5,010.50. Benchmarks in Singapore, Taiwan, Indonesia and the Philippines also fell. But Japan's Nikkei 225 bucked the negative trend, rising 0.4 percent to close at 11,652.29. Investors are seemingly in a buoyant mood ahead of a leadership change at the Bank of Japan. Gov. Masaaki Shirakawa will step down March 19, making way for a new chief who supports Prime Minister Shinzo Abe's call for bolder monetary easing. The central bank meets Wednesday and Thursday for a regular monetary policy review. Benchmark oil for April delivery was down 35 cents to $90.33 per barrel in electronic trading on the New York Mercantile Exchange. The contract fell $1.37 to close at $90.68 a barrel on the Nymex on Friday. In currencies, the euro fell 0.2 percent against the dollar, to $1.2994, while the dollar fell 0.1 percent against the Japanese yen, to 93.56 yen.